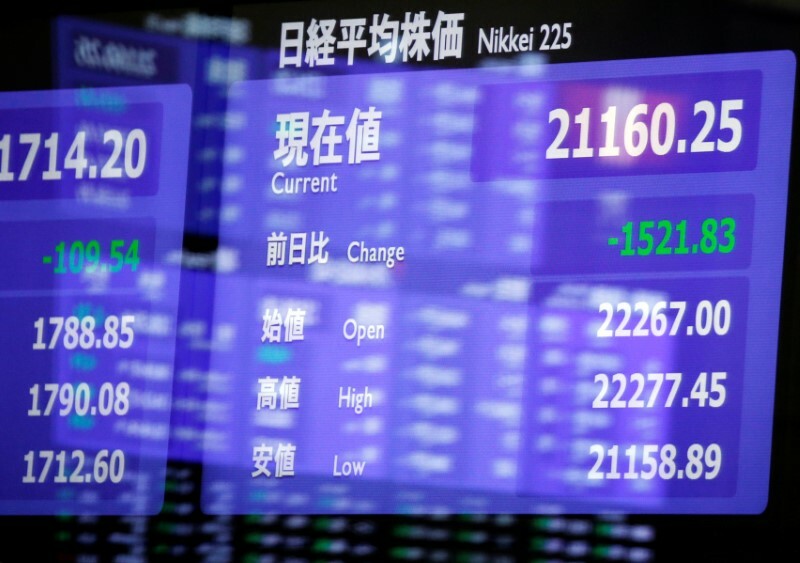 LONDON (Reuters) – Reassurance by the Bank of Japan that it will keep its super-easy monetary policies in place for an extended period pushed the yen and global bond yields lower on Tuesday, though mounting concerns about the tech sector kept world stocks under pressure. A recent Reuters report that the BOJ could be debating scaling back its massive stimulus program had sent Japanese bond yields to 1-1/2 year highs, spilling into euro zone and U.S. debt markets. That helped push the yen more than 2 percent off six-month lows hit against the dollar in early July. But while the BOJ announced some tweaks to its equity purchase program and said its stimulus plan would be more flexible, the changes did not show any inclination for radical shifts from its accommodative stance. The yen fell 0.4 percent to trade around 111.2 yen per dollar. Many analysts now see it easing to around 113, especially if the U.S. Federal Reserve delivers a hawkish interest rate message when its policy meeting ends on Wednesday. Lackluster earnings from Netflix (NASDAQ:) and Facebook (NASDAQ:) have triggered losses across the tech sector, with Wall Street’s tech index shedding 6 percent in the past three sessions. That pushed world stocks to one-week lows and even Japan’s failed to hold on to earlier BOJ-fuelled gains. MSCI’s index of Asia-Pacific tech shares fell almost one percent. Wall Street was set for a modestly firmer open, futures signaled as investors await second quarter earnings from the biggest company, iPhone maker Apple (NASDAQ:).